Growing up in the Philippines, I was surrounded by bamboo and we used many things made out of bamboo, from furniture, to coin banks, to cooking implements. So it was a pleasant surprise when I began seeing fabric products made out of bamboo. And the benefits of fabric made from bamboo are numerous: they’re incredibly soft, breathable, hypoallergenic, anti-bacterial, and provide UV protection. And bamboo is probably the most ecologically sustainable source of fiber. You see, bamboo grows without the need for pesticides, herbicides, or fertilizers. And, because they mature fast, they’re very easy to replenish. I had the opportunity to try bamboo fabric products from Cariloha, a US-based company specializing in leisure wear and other products made of a proprietary blend of bamboo. 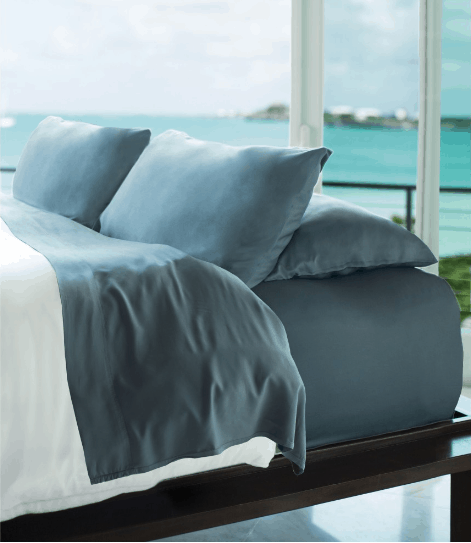 Incredibly soft and luxurious – These sheets are so soft that my children wanted to sleep on our bed. Hubby and I had to beat them away with a stick, LOL! These sheets are as soft as my high-thread count cotton sheets. No, maybe softer. Cool to the skin – These sheets are perfect for summer, because they keep you cool and wick moisture (sweat) from your skin, so you stay comfortable as you sleep. Wrinkly – Probably because they’re ultra soft, they wrinkle terribly. Reason why I couldn’t take any photos of mine. Even if I ironed or steamed mine (which I would never do, lazy as I am), the sheets wouldn’t have stayed nice and smooth. Expensive – They cost more than some cotton sheets with upwards of 1500 thread count. If you have sensitive skin, want natural, eco-friendly sheets, and are willing to pay for quality, then these bamboo bed sheets are a good alternative to cotton or silk sheets. Soft and thick – Like the bed sheets, this towel was super soft and luxurious to use. Versatile size – Until I received this bath sheet, I didn’t know towels came in this larger 40″ x 70″ size. It’s great for swimming. It will keep up with you as you dry off, get wet again, dry off again…. And you can use it as a beach towel. I’m not picky when it comes to towels. A towel only needs to be reasonably soft and absorbent. 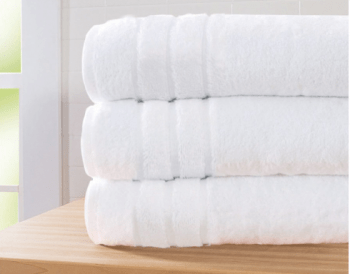 But if you’re the type who wants the most luxurious towel, or you only want sustainable products, then you should definitely check out the Cariloha bamboo-cotton towels. Super soft and comfortable – This is now my most favorite skirt! Although I made the mistake of requesting this longish skirt (I’m petite) instead of the shorter cotton-viscose skirt, and even though it’s too loose for me now that I’ve lost some weight, I still love wearing this skirt! It’s super soft and cool, and the A-line style is so easy to move in, even in the hottest of days. Crease-resistant – I was surprised that this skirt isn’t wrinkly at all (probably because it’s mixed with polyester). This is another reason why this should be your go-to travel skirt. Not 100% natural – This skirt is 35% Viscose from bamboo and 65% polyester, so it’s not made with 100% natural fabric. That can be a deal-breaker for some. If you don’t mind some polyester in your clothing, you’ll enjoy this soft, cool, and flattering skirt that retains the hypoallergenic properties of bamboo fabric. If it’s important for you to use only natural fiber, then the Bamboo Sinclair Skirt, which is 60% organic cotton and 40% viscose from bamboo, is a better option. Although I suspect it doesn’t flow as nicely as this one. Also, the Burnout skirt’s reversibility is a unique feature that makes it particularly useful. There’s a 90-Day Satisfaction Guarantee, which says if you don’t love the product, you can return it within 90 days for a full refund (less shipping charges). And then there’s the Lifetime Quality Guarantee. You read that right, a lifetime guarantee. At any time after purchase, if you’re not completely satisfied with the quality of the product, you can return it and exchange the item(s). I think it’s great that companies like Cariloha are providing various products made out of bamboo and other natural fibers. Now those with sensitive skin, those who value natural fibers, and those who want to use ecologically sustainable products have more choices. 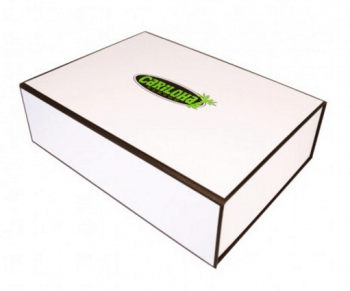 Cariloha proves that eco-friendly products can be good for you, good for the environment, and look good all at the same time. Have you tried bamboo-based fabric products before? What do you think of them? And what are your favorite bamboo-based fabric products?